The original thirteen members of the Association of Medical Superintendents, of American Institutions for the Insane. Warren, Pennsylvania : E. Cowan & Co., 1885. Description : -49 p., [13 l.] pl. ; ill.: 13 phot. ; 23.8 cm. Photographs : 13 albumen portraits, mounted cards. Photographers : varia ; Gutekunst, Frederick, 1831-1917. Author caption: John Curwen, M. D., Secretary of the Association. Medical degree, University of Pennsylvania, 1844. Resident physician, Wills Eye Hospital, Philadelphia, 1844. Assistant Physician, Pennsylvania Hospital for the Insane, 1844. Physician and superintendent, Penn. State Hospital for the Insane, Harrisburg, 1851-81. Secretary-treasurer, Association of Medical Superintendents, 1856–92. Vice president, Association of Medical Superintendents, 1892. President, Association of Medical Superintendents, 1893. Physician and superintendent, Warren State Hospital, 1881. Author (1875), "History of the Association of Medical Superintendent..etc.," Warren, Pa.: E. Cowan. After its preparation it was thought that the interest of the subject would be increased by having the portraits of the original thirteen to accompany the printed address, and these have all been procured through the kindness of friends who gave the writer such information as enabled him to secure them all. The photographs of Drs. Kirkbride, Bell, Ray, Butler, Earle and Awl were taken from photographs in the possession of the writer; that of Dr. Woodward was sent by Dr. Quinby, of Worcester, Mass. ; that of Dr. White was from a miniature in the possession of Dr. H. Shelton Carter, of New York; that of Dr. Stedman from a photograph sent by his son, Dr. H. R. Stedinan; that of Dr. Brigham from a photograph sent by Dr. D. R. Burrell, of Brigham Hall, Canandaigua, N. Y.; that of Dr. Stribling from one loaned by Dr. A. M. Fauntleroy, of Staunton, Va.; that of Dr. Gait was taken from a miniature of his earlier years in the possession of Miss Mary J. Gait, of Norfolk, Va., being the only one known to exist; and that of Dr. Cutter was obtained from Dr. Howe through the kind attention of Dr. Edward Jarvis, of Dorchester, Mass., being one of the last acts of his active and devoted life.—Preface, pp. 3-4. Large format photographs and brief biographical sketches of the first thirteen members of the Association of Medical Superintendents of American Institutions for the Insane (AMSAII), established in 1844, and now known as the American Psychiatric Association. The first plate, depicted here, is a portrait of the first president of the association, Samuel Bayard Woodward (1787-1850). 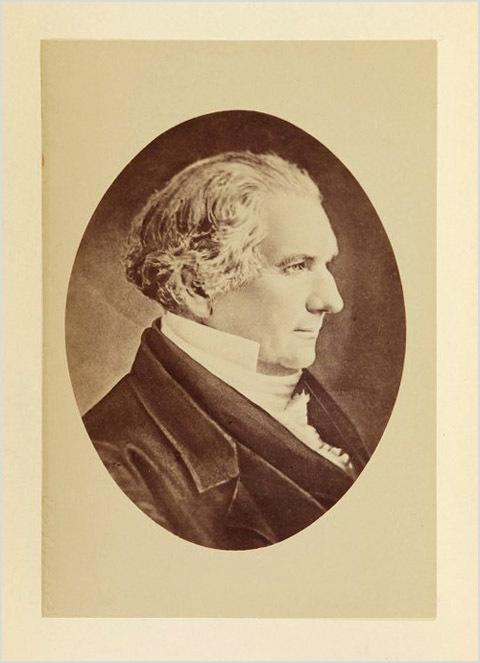 After Woodward, there follow photographs and biographies of Samuel White (1777-1845), Isaac Ray (1807-1881), Luther Vose Bell (1806-1862), Charles Harrison Stedman (1805-1866), John Simpkins Butler (1830-1890), Amariah Brigham (1798-1849), Pliny Earle (1809-1892), Thomas Story Kirkbride (1809-1883), William Maclay Awl (1799-1876), Francis T. Stribling (1810-1874), John Minson Galt (1819-1862), Nehemiah Cutter (1787-1859). Only the photographer of Kirkbride can be identified. The image comes from the lens of Frederick Gutekunst and also appears as the frontispiece to a memoir on Kirkbride, coauthored by Curwen (1885). See holdings at Harvard for 134 letters from John Curwen to Dorothea Lynde Dix (1802-1887), nineteenth century humanitarian and crusader for the mentally ill, and namesake of Dixmont Hospital (demolished in 2006).